We are excited to announce the arrival of our new wagon, which will be the latest member of our growing fleet. 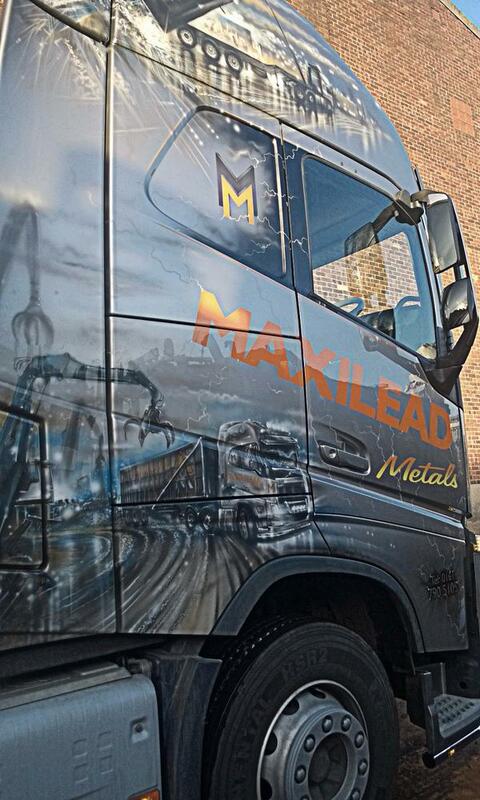 Our new Volvo FH 500 Tractor Unit has been airbrushed by Tom & Andy Scott, who once again have done a fantastic job. The detail is exceptional. It heads to the Manchester Central (Gmex) this weekend where it will be on show to visitors at the Ultimate Custom Show. This is a great way to kick strat 2015 and shows Maxilead’s commitment to investment. By making investments like this, we can provide top class service enabling us to be the best in our sector. ← Have a “Scrappy” Christmas!